Projects discussed in detail were the Hospital and Clinic Improvement project, and the Hospitality and Maritime Training Institute, which are grant financed from the European Development Fund. 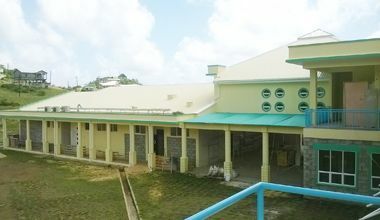 Under the hospital project the EU is funding the construction of doctorsâ quarters at Sandy Bay, Union Island, Canouan and Chateaubelair, as well as new polyclinics at Buccament and Mesopotamia. In addition refurbishment work is being carried out at the Milton Cato Memorial Hospital (MCMH) and the Mental Health Clinic (MHC). Site visits were undertaken to Buccament, MCMH and MHC. The EU team also undertook a portfolio review of all EU financed infrastructure works in St Vincent and the Grenadines, including interventions to be financed from the EU-ACP Banana Accompanying Measures (BAM). The team noted that progress on projects generally was good. Discussions were held with the Energy Unit, concerning geothermal energy development in St Vincent and possible EU support. The visit is part of regular exchanges on development co-operation between the Government of St Vincent and the Grenadines and the European Union.